The American College of Emergency Physicians has released its annual report card on the emergency care environment across the United States. 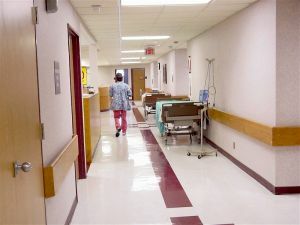 Massachusetts did relatively well on some aspects of the report, but there were some significant problems within the state as well, including a low grade for disaster preparedness and a recommendation that Massachusetts work to increase its hospital capacity. Patients need to understand the strengths and weaknesses of the Massachusetts medical care system so they can protect themselves when seeking treatment. In any situation where a patient receives substandard care, he or she should also speak with a Boston medical malpractice lawyer for help pursuing a claim for damages caused by medical negligence. Ranking first in the nation in Injury prevention and Public Health, perhaps because of extensive dedicated funding to prevent injuries for children and the elderly. The lowest rate of suicide and homicide in the country. A statewide trauma registry and a triage and destination policy in place in cases where a person suffers a stroke, a trauma or ST-elevation myocardial infarcation (STEMI). Despite this rosy picture, all is not perfect in the state of Massachusetts. For example, Massachusetts has one of the lowest bed capacities in the entire nation with 248.6 beds for every one million people. Compounding the issue is that there are also a relative lack of emergency departments with just 9.6 per million. Because of a low bed surge capacity and a limited number of emergency rooms, the emergency care infrastructure is overwhelmed. The effects of this can be seen in the high occupancy rate of 75 out of 100 staffed beds filled. When emergency care facilities are at-capacity and the majority of beds are filled, this can result in overextended nurses and doctors. When care providers are rushed in providing treatment, they can make mistakes including operating on the wrong patient, misdiagnosing a condition because of missing symptoms, or providing the wrong dose or type of medication. This creates the risk of medical negligence that could lead to injuries. The report card also gave Massachusetts a D- in the medical liability environment category because the state has few liability reforms and has one of the highest average malpractice payouts in the country. While tort reform advocates believe that the law should be changed to make it harder for Massachusetts patients to recover compensation for medical negligence, this high payouts may simply be a reflection of the fact that mistakes do get made and patients do suffer serious injuries as a result.